One stop travel information center on the #1 for Fun in the Philippines! 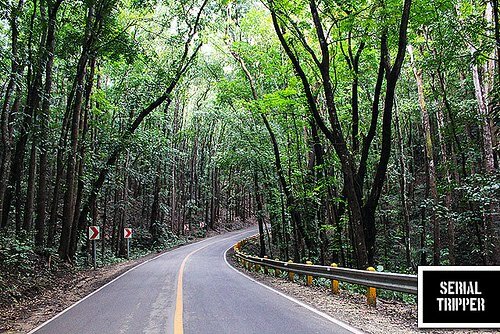 A favourite stop for tourists going to and/or from the Chocolate Hills in Carmen town is the Bilar Man-made Forest. Stretching up to two kilometers, the dense forest made up of red and white mahogany trees is located along the border of Loboc and Bilar towns. 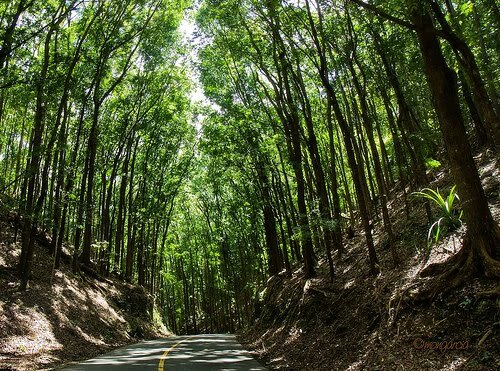 Bilar man-made forest was part of a bigger reforestation project that was created in response to the alarming deforestation in the Loboc watershed. This was caused by the destructive slash and burn farming system called kaingin, which was done by the locals who sought refuge in the forested area during World War II. The reforestation plan started during the administration of Governor Conrado Marapao in 1947, which was continued in succeeding administrations. The plan became the Loboc Watershed Reforestation Project (LWRP), which was launched in December 1953 consisting 19,410 hectares of land in the towns of Lila, Loboc, Sevilla, Batuan, Carmen, Sagbayan, Catigbian, Balilihan, Sierra Bullones, Valencia, Garcia-Hernandez, Jagna and Bilar. Later, LWRP was divided and the other half became the Rajah Sikatuna Protected Landscape (previously Rajah Sikatuna National Park). Both protected areas are managed by the Department of Environment and Natural Resources (DENR). The Bilar man-made forest was a successful part of LWRP due to government employees, laborers, students, scouts, pupils and socio-civic volunteers who came in droves from 1968 to late 1970’s to plant seedlings taken from the nursery in Logarita in barangay Riverside, Bilar. This site uses affiliate programs and referral links for monetization.